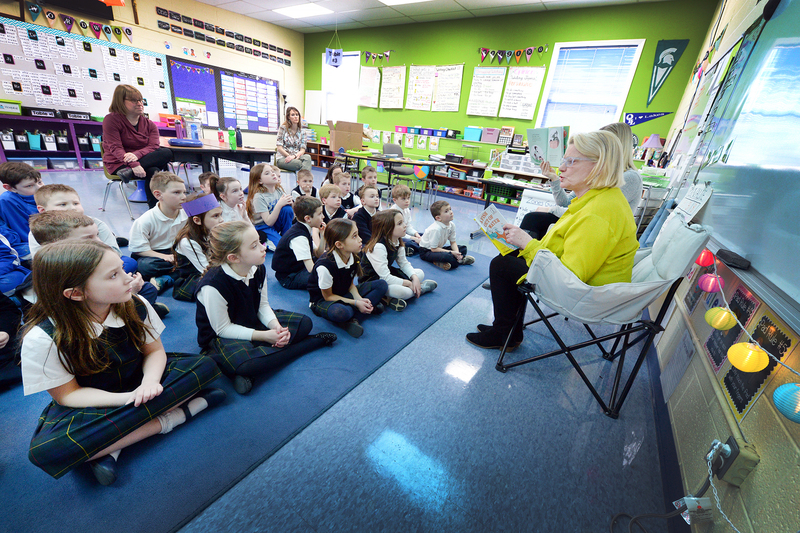 Sen. Ruth Johnson, R-Holly, celebrated National Reading Month by reading to Ms. Selden&apos;s second-grade class and Ms. Ferguson&apos;s first-grade students at Our Lady of the Lakes Catholic School in Waterford Township. To promote the importance of reading, Johnson has been reading to students at local elementary schools throughout March. 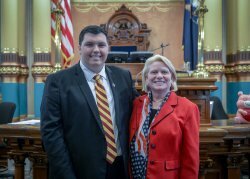 Sen. Ruth Johnson, R-Holly, on Thursday welcomed American Legion, Department of Michigan State Commander Steve Striggow of Holly to the Capitol for a special tribute in celebration of the organization&apos;s 100th anniversary. 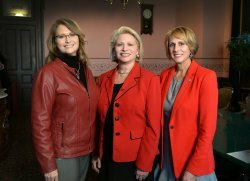 Sen. Ruth Johnson, R-Holly, welcomed the Rev. 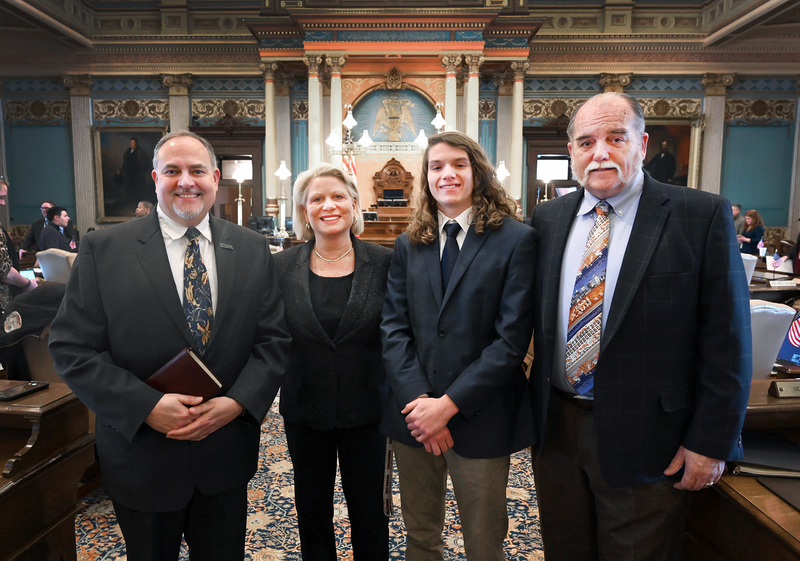 Richard Kinnamon to the state Capitol on Wednesday. 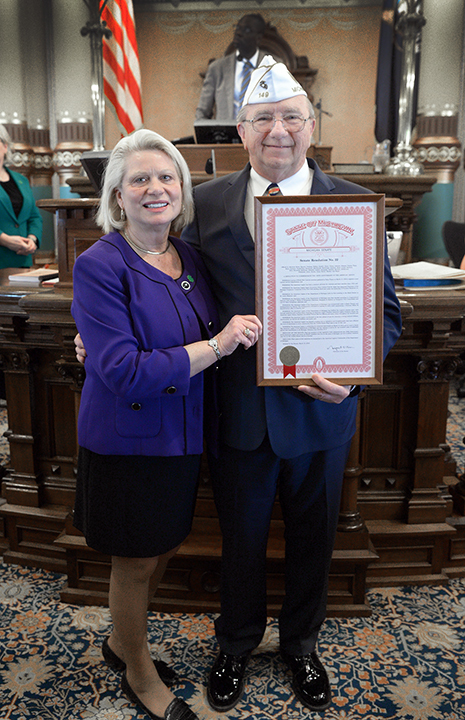 Kinnamon is the pastor at Twelve Stones Church in Holly and delivered the invocation before Senate session. 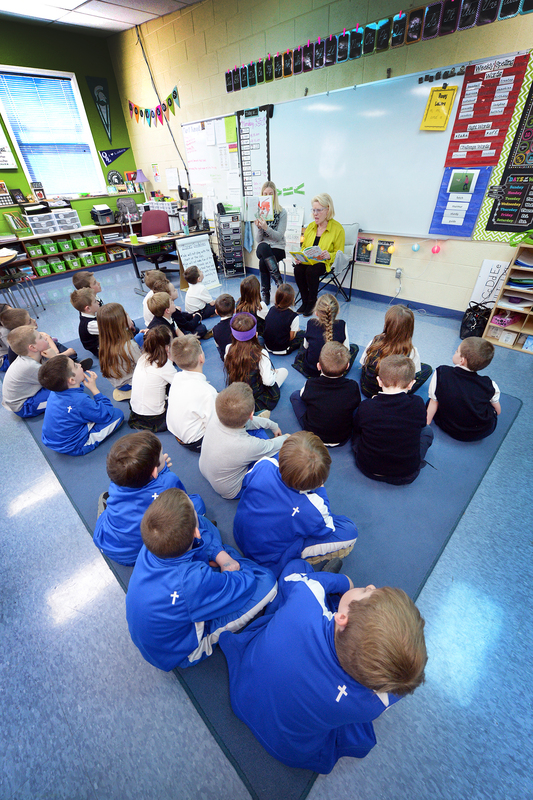 Kinnamon&apos;s son Timothy and Holly Township Supervisor George Kullis joined Johnson and Kinnamon for the invocation. 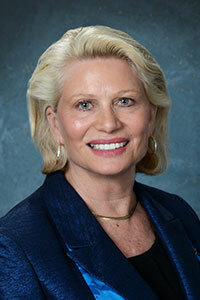 Sen. Ruth Johnson, R-Holly, welcomed the Rev. 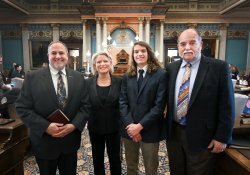 Richard Kinnamon to the state Capitol on Wednesday. Kinnamon is the pastor at Twelve Stones Church in Holly and delivered the invocation before Senate session. Sen. Ruth Johnson, R-Holly, welcomed Matthew Smith to the Michigan Capitol on Tuesday night as her guest for Gov. 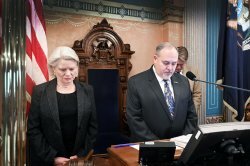 Gretchen Whitmer&apos;s 2019 State of the State address. 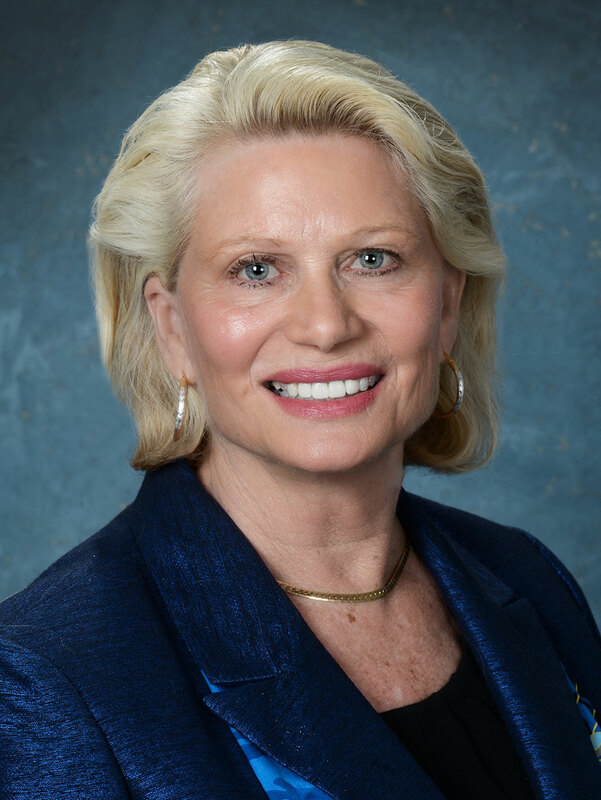 Smith is a member of the Davison Board of Education and is studying political science at the University of Michigan-Flint. 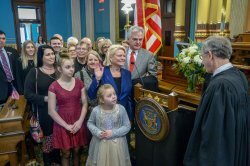 Sen. Ruth Johnson, R-Holly, participates in a ceremony at the Capitol with Gov. 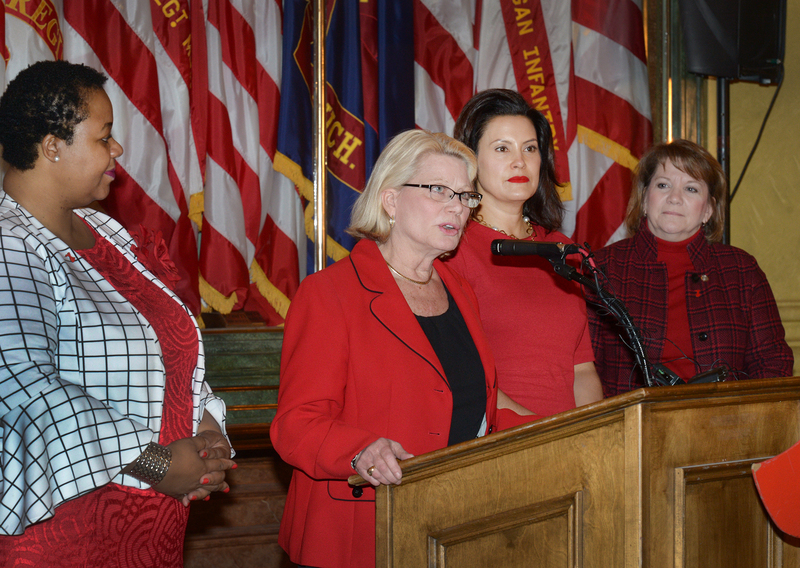 Gretchen Whitmer and other female legislators to promote the American Heart Association&apos;s "Go Red for Women" initiative and raise awareness about the risk of heart disease and stroke in women. 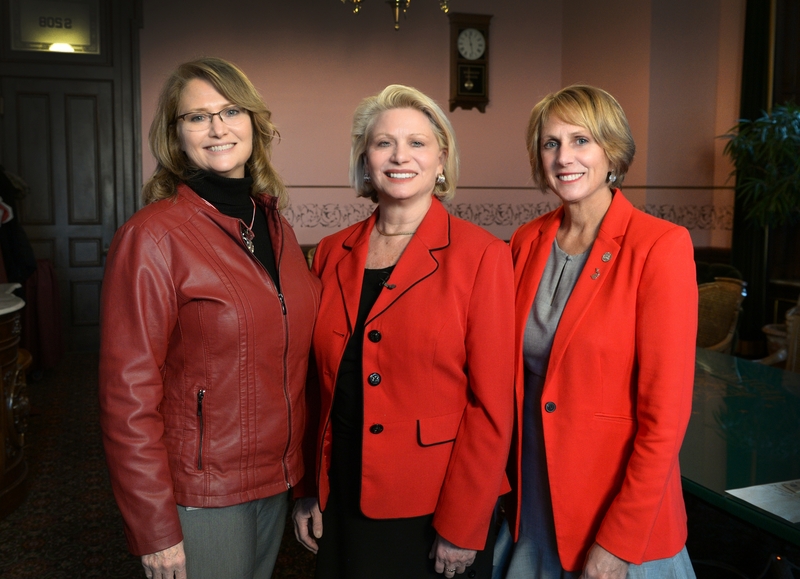 Sen. Ruth Johnson, R-Holly; Sen. Lana Theis, R-Brighton; and Sen. Kim LaSata, R-Bainbridge Township; wear red to show their support for the American Heart Association&apos;s Go Red for Women initiative. 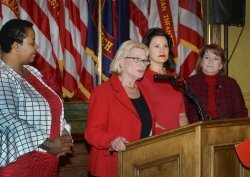 The Go Red movement is dedicated to increasing awareness about heart disease, which is the leading cause of death in women in the U.S.
Sen. Ruth Johnson, R-Holly, was sworn in as senator for the 14th District on Wednesday during a ceremony at the state Capitol. Michigan Supreme Court Chief Justice Stephen J. Markman administered the oath of office. 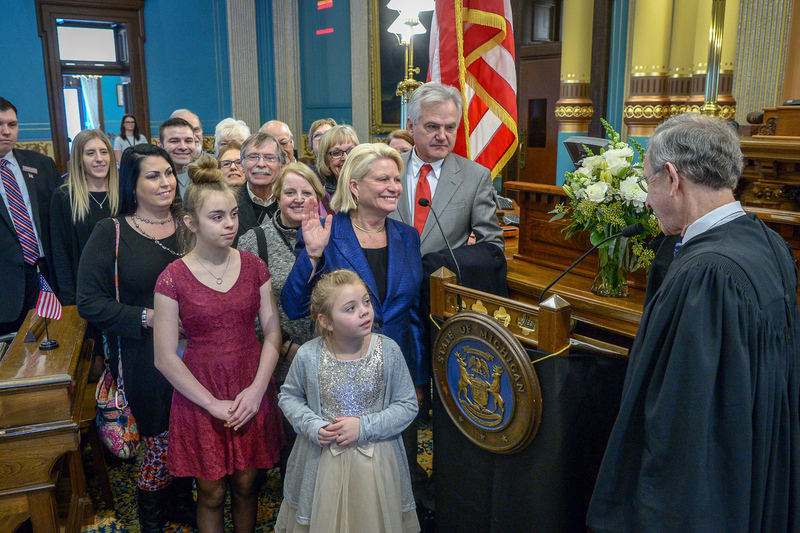 Johnson was joined on the Senate floor for the oath by Robert DePalma; Pam Mazich; Donn Hinds; Ed and Marilyn Macadeg; Chris Maniaci; Matt and Wendy Smith; Laura Toy; Susan Nash; Julie Ogg; and Luke, Brianna, Alexia and Mariah Markell.